You are here: Home » The European Wine Bloggers Conference 2010 in Vienna: a Huge Success! 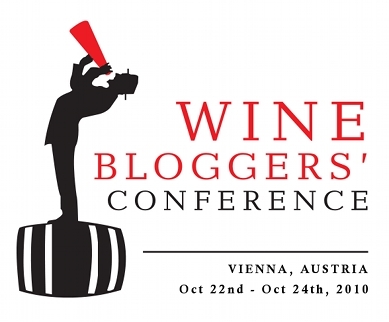 The European Wine Bloggers Conference 2010 in Vienna: a Huge Success! The European Wine Bloggers Conference 2010 has come to a triumphant conclusion. The conference, organised by Ryan and Gabriella Opaz of Catavino.net and Catavino Marketing and Robert McIntosh of The Wine Conversation, brought together in the Austrian capital, Vienna, 200 wine bloggers, social media innovators and wine industry leaders from 30 countries. Attendance at this year’s conference was dramatically higher than last year’s event in Lisbon, Portugal, reflecting the rapidly growing interest in social media. With this, the annual three day conference has become the leading international conference on wine and the internet – attracting bloggers, the mainstream media, photographers, videographers, distributors, retailers, wine critics and influential wineries to discuss current trends and future innovations in the wine industry. Major sponsors of the 2010 EWBC included: the Austrian Wine Marketing Board; Burgundy Business School; Wien Burgenland; WienWein; Wines of Chile; Rona; Vienna Tourism Board; Wine in Moderation; Dinastia Vivanco; Naked Wines, and Traisental-Kamptal-Kremstal; and with additional support from Real Cork. Additionally, over 350 wineries donated over 700 top wines to various tastings held throughout the event. “We Austrians had so much fun discussing, tasting and having a great time with bloggers” said the Austrian Wine Marketing Board’s general manager, Willi Klinger, about the EWBC. I believe we fit very well together. The 2011 European Wine Blogger Conference will take place in Brescia, Italy, on October 14-16 with the generous support of the Consorzio per la tutela del Franciacorta, which has stewardship of the Franciacorta production, to help raise the profile of this historic, quality wine region with a new group of wine lovers. The first delegates to register before December 1st 2010 will be entered into a random drawing to win a free trip to the 2011 Conference. Registration is now open! Founded in 2008 by Robert McIntosh of The Wine Conversation (http://wineconversation.com) and Ryan and Gabriella Opaz of Catavino (http://Catavino.net), the annual conference aims to gather from all over Europe and the world wine bloggers who are looking to build stronger relations between their sites and to offer a better route for wineries and retailers to reach these consumers, or readers.